World Journeys was founded back in 2007 to meet the demand for specialist skills in tailor-made travel. Our founding Directors have decades of travel experience under their belts, and work hands on, answering the phones and creating itineraries, alongside our experienced and passionate team of Travel Designers. A dedicated group of travel specialists, we have spent many years perfecting our craft! Some of the team are very specialised in certain areas of the world, but there will always be someone who will gladly assist you wherever you choose to go. With a background in group travel logistics and product research, Ange is dedicated to ensuring that your journey is personalised and consistently exceeds expectations. Travelling to inspiring destinations, testing amazing accommodation, and having life-changing experiences rate highly. A few of Ange’s highlights are hot air ballooning over the Serengeti, swimming with dolphins in Zanzibar, and e-biking around Bagan. A recent trip to Myanmar was a complete surprise and she is now anticipating her next trip to meet mountain gorillas in Uganda! Brett is an inveterate traveller – 120 countries and counting. Recent travels have seen Brett ramble through Italy, sail the islands of Croatia, cruise the great rivers of Portugal and France, a work a sabbatical in Qatar and an indepth tour of Ethiopia. Brett loves to share his many travel experiences and counts seeing the gorillas in Uganda, taking part in the Carnival in Rio and snorkelling in the Galapagos Islands as three of many highlights. He also has a passion for cruising and he recently enjoyed an Antarctic cruise, getting up close to gentoo penguins and whales! Kate travelled by motorbike through the UK, France, Switzerland, Spain and Germany, lived for several years in the Middle East and has spent time in Africa, Asia, Canada and parts of South America. Kate revels journeys involving Egypt, Israel and Jordan, feeding her passion for ancient civilisations and Middle Eastern cultures. Add to that Easter Island, Peru, Colombia and the Kingdom of Bhutan. Kate recently explored the Manor Houses of southern Ireland. Clearly the Blarney Stone has had its effect – just you try and stop her talking about it! 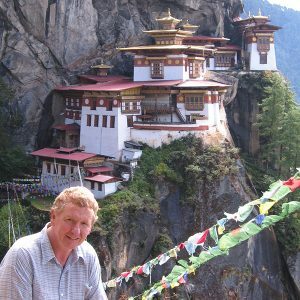 With decades of experience belying his youthful countenance, Chris has been involved in developing unique travel experiences for New Zealanders for many years. 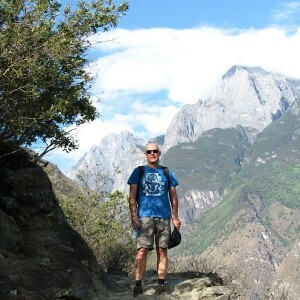 Most recently, Chris has cheerfully escorted groups all over the world and has recently led a small group journey along the ancient Silk Road, hosted our Grand South American Journey, fell in love with the Atacama Desert, and visited Morocco for the first time! A year as an AFS student in Brazil ignited Elly’s lifelong passion for travel, subsequently formalised by a degree in Tourism Management. Many happy years of tour-leading in Europe, Asia, Eastern Europe and South America ensued. Seeing Machu Picchu for the first time was one of many memorable moments, and one that has since been repeated ten times! Even coming home to NZ had to be special, so the route was via Africa and the Mountain Gorillas of Rwanda – another absolute highlight. Elly recently hosted a group to Cuba, fitting with her ongoing mission to help others fulfil their own travel dreams! Sue lives, breathes and would eat travel if she could! 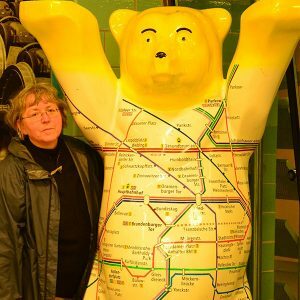 With an impressive 30 years experience in the travel industry her enthusiasm is indefatigable, as is her love of Canada and Alaska in particular, which borders on obsession! 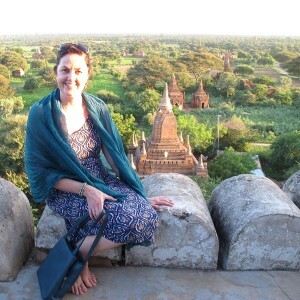 Sue also rates Vietnam, Laos and Cambodia as her favourites, and cruising the Med was a real highlight. 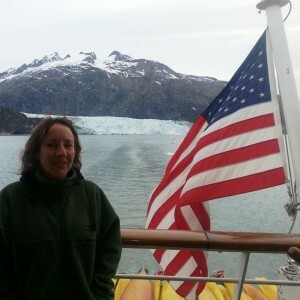 Sue’s recently returned from doing a small ship cruise through Alaska with Un-Cruise. The stats say it all – 36 years working in travel, and 80 countries visited over 6 continents. We welcome Tony’s vast knowledge and experience, and embrace his passion for travel. Favourite moments include canoeing on the Zambezi River, sleeping under the stars in Petra, and the incredible sunsets at Machu Picchu and the Taj Mahal. While travelling, Tony is most likely to be found exploring on foot, eating like a local, and soaking up the history. Recent travels have taken him to the Indian Ocean island of Madagascar – and he’s happy to talk to anyone wanting to go. 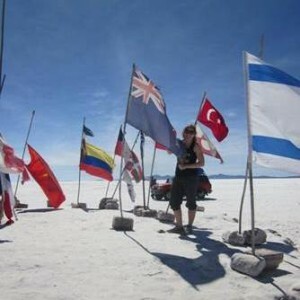 Emma comes to us after 5 years working in travel, with some incredible travel experiences in no less than 63 countries under her belt, including time living in Arequipa in Peru, travelling by motorbike through the North of Vietnam up to the border with China, and seeing the sun rise over the Taj Mahal. Other favourites include Sri Lanka, Vietnam, Croatia, the Maldives and Jordan. Whew! Emma recommends getting out of your comfort zone while travelling, and experiencing as much of the local food and culture as possible. What’s on her bucket list? The Philippines, Central Asia, Iran and the ‘Stans (and we’re sure there’s more….). Dorothy grew up in California before moving to NZ in 2000 and has already travelled a lot of the world. She has been to all six continents but especially loves Botswana, Namibia, Oman, Iceland, Faroe Islands, and Chilean Patagonia with Japan probably being her favourite (she has been 7 times already). Her passion for travel, still strong as ever, is pulling her towards Mongolia, Sri Lanka and East Africa which are all next on her list. With 15 years in the travel industry, she brings great experience to the World Journeys team. Zoe brings with her an ambitious “to do” list including Antarctica and Iceland! Having worked and lived abroad in Canada, America and England, Zoe has also explored some the world’s more exotic destinations. Memorable experiences include hiking up to Machu Picchu, cycling the “Death Road” in Bolivia, leading a scout troop along the Appalachian Trail, and feeding a Leopard cub in Thailand. Very World Journeys! More recent travels have included Sri Lanka and a memorable trip to Japan where she got engaged. Whether she’s eating pretzels in Germany or refried-bean tortillas in Mexico, buying dragon fruit in a Malaysian market, devouring pizza and espresso in Rome, sharing her fruit with a temple monkey or dancing around a European Christmas market with a cup of mulled wine – we’re not sure if its food or travel she likes more! After studying at the International Travel College, she was hungry for more. She has spent some time working at Auckland Airport, but nothing compares to being part of the team here. Judith was born in Bandung, West Java, igniting an early love of other cultures. A dance enthusiast, she has enjoyed Ballroom in Brighton, Tango in Buenos Aires and Salsa in the Atacama. Recent travels include Northern Patagonia, a small-ship Alaskan cruise, an epic voyage to the Malvinas, South Georgia & Antarctica, and a first visit to Japan! Favourite moments include having lunch stolen by a serval cat on Mt Kilimanjaro, cooking with the Bedouins under the stars, and kayaking in the Antarctic. In her words ”The world is one giant playground”. Davina was born in the Channel Islands, and like many of us, her childhood travels led to a life-long passion for travel, and an impressive 19 year career. Davina lives the ‘been there, done that’ life, having swum in the warm waters of Zanzibar, slept under the stars in the Sahara, cycled the Death Road in Bolivia, travelled through the Canadian Rockies and learned to cook in India. Recently, she explored Vietnam, hosted a trip to Japan, and traversed the plains of Africa through Botswana, Victoria Falls and Mozambique – all experiences she will put to good use in her role with World Journeys! 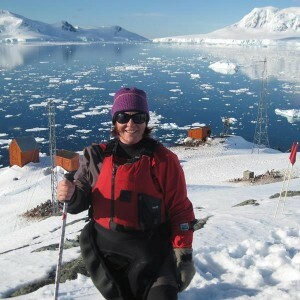 Caroline, our Marketing Manager has covered all continents bar Antarctica! Highlights? An epic year in Africa, trekking the Inca Trail, the Trans Mongolian Railway, and climbing Mt Kilimanjaro on a significant birthday. More recently, Caroline has enjoyed the delights of Japan in autumn colours, a small-ship cruise in Alaska and a repeat visit to Namibia, but this time in true World Journeys style! Maddi’s new role in life is to create all things beautiful at World Journeys! 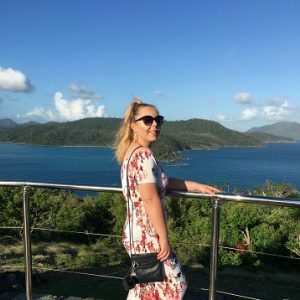 Having a keen interest in travel will no doubt help her with that, having already explored Brunei, Borneo, Singapore, Vanuatu, New Caledonia, London, Germany, Amsterdam, Ghent and Paris. Where next? 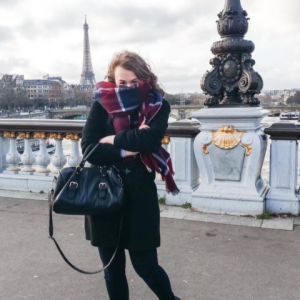 Maddi has a hankering for Central America, the sounds of Nashville and New Orleans, and much more of France once her French lessons kick in! Jackie started her first job with an Australian travel wholesaler more years ago than she cares to remember. 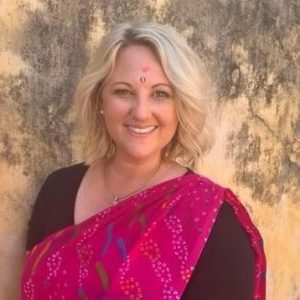 She has experience with inbound and outbound travel, cruising, niche product and much more besides. Jackie is particularly passionate about Canada and Alaska but is more than capable to turn her hand to just about anything. Our resident fashionista, Sarah adds colour and flair to all she does – which includes the gorgeous itineraries our clients travel with! 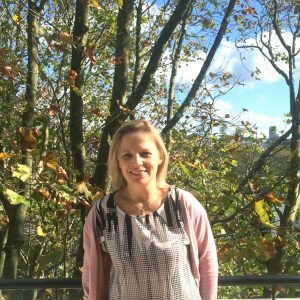 With over 20 years experience in travel, Sarah is also kept busy by three kids, and dabbles in touch rugby and netball when time allows. 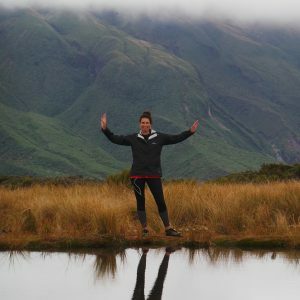 Born and raised in London with a hankering to explore the world – Natalie moved to NZ in her early 20s and hasn’t looked back! With a passion for travel, it was always inevitable that she would join the travel industry. 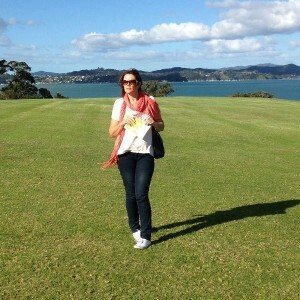 Her career kicked off in wholesale, working as a consultant in both the UK and NZ. She eventually moved to work for an airline where she ended up spending 12+ years before taking some time out to raise her two boys. 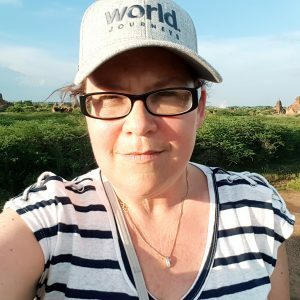 She has travelled extensively but still have so much to cover – highlights so far include India, Mexico, USA, Italy, France, Thailand and Hong Kong! Ulrike has stories to tell! Her first flight was on Aeroflot to China when Mao suits were the norm and Westerners were not! While escorting a group on the Trans Siberian Railway a Swiss couple on their OE inspired her to do the same! She left Germany in 1989 to travel, and watched the wall come down while WWOOFing in Australia! 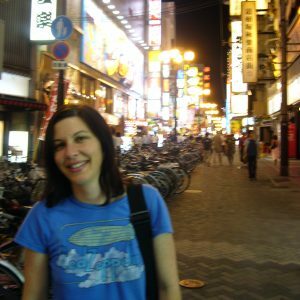 Ulrike has travelled in Europe, India, America, Malaysia, Thailand and Singapore and worked in Taiwan. Settling in NZ her urge to travel waned, but we fear World Journeys has changed all that! 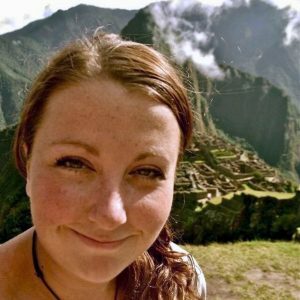 Born and raised in Auckland, New Zealand, Seane has always been passionate and fascinated with travelling the world. After completing her travel management diploma at the New Zealand School of Tourism she moved to Australia working on Hamilton Island. 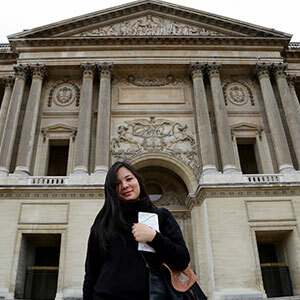 She definitely has the travel bug and looks forward to exploring Scandinavia, Europe and Canada in the future. Outside of work you can find her watching movies, taking pictures, spending money or on a road trip. Working at World Journeys she has been inspired to add even more places to her bucket list including Africa and Asia.